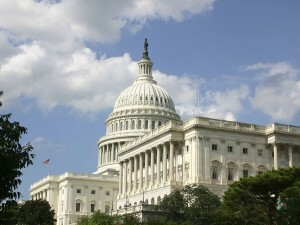 Following the November elections, lawmakers have been on Capitol Hill for the final phase of the 114th Congress. This lame duck session was formally scheduled to come to an end this upcoming Friday, but the last-minute passage of a continuing resolution (CR) last week allowed lawmakers to adjourn the 114th Congress a week early after the bill cleared the Senate. With policymakers digesting the results of the elections and planning ahead for 2017, there were not too many education or workforce-related highlights from this final session of Congress to speak of. The dearth of legislative activity did make room for the composition of the respective House (HEW) and Senate (HELP) education committees to become clearer. In the Senate, Chairman Lamar Alexander (R-TN) will retain his leadership role of the HELP Committee. Ranking Member Patty Murray (D-WA) will also keep her slot going into next year. This year this duo, along with Senators Enzi (R-WY) and Casey (D-PA), came close to passing a comprehensive reauthorization of the Carl D. Perkins Act, but unfortunately these efforts stalled as the year wore on. The root cause of this delay were continued disagreements related to the oversight authority of the U.S. Department of Education (USDE). With the retirement of Chairman John Kline (R-MN), the House education committee recently named a new Chairwomanâ€”Rep. Virginia Foxx (R-NC)â€” to lead HEW in the 115th Congress. Rep. Foxx recently won her seventh term in Congress, and has been the Chairwoman for HEWâ€™s subcommittee on higher education since 2010. Prior to her tenure in Congress, she was a professor and administrator at several postsecondary institutions in North Carolina. On the Democratic side of the aisle Ranking Member Bobby Scott (D-VA) will retain his leadership position on the committee. Earlier this year the full House overwhelmingly passed H.R. 5587â€”comprehensive legislation that would reauthorize the Perkins Act. While there were some remaining items that needed to be addressed as the bill made its way over to the Senate (primarily a fix for the proposed definition for a secondary CTE concentrator), Advance CTE endorsed and supported this legislationâ€™s passage. Unfortunately due to the reasons cited above, the bill lost momentum when it arrived in the Senate. As we look ahead to the next Congress, lawmakers in both chambers have expressed interest in taking up Perkins reauthorization. However, a specific timeline for the lawâ€™s consideration is still unclear and it will be competing with other education priorities such as a renewal of the Higher Education Act (HEA). In the coming year, Advance CTE will continue to advocate for a thoughtful reauthorization process for Perkins in this new environment and will urge lawmakers to build upon the strong foundation laid with H.R. 5587 to support high-quality CTE for years to come. Be sure to check back here for an in-depth look at what else is in store in the 115th Congress in coming week.